In each issue of our monthly newsletter, you’ll find a section of news and ideas from the medical billing industry. Since these news items are often extremely popular with our readers, we’ve decided to bring them to you on a more frequent basis so that you can stay up to date on the latest in medical billing and medical billing software. We hope you find these items useful. Subscribe now to receive our monthly newsletter filled with tips on improving your medical billing results. Subscribe now to our monthly e-newsletter to receive additional articles and news on improving the profitability of your medical billing. Blueprint: design, diagram, draft, framework, layout, master plan, outline, pattern, plan, scheme. A medical practice or facility cannot just bury their heads in the sand and hope ICD-10 will go away; that will not happen. When drafting a blueprint you have to know the purpose of the plan. In this case, the final goal is compliance and readiness to assign ICD-10 codes on October 1, 2013. The strategic plan will get you to this deadline. This is a complex undertaking because there are deadlines that must be satisfied before the new codes can be transmitted to trading partners, clearinghouses, payers, etc. Your “master plan” must weather budget concerns, resistance to change, and different personalities and opinions. Similar to a blueprint for a house, the foundation must be strong and hold up under unexpected problems during the process. Remember Murphy’s Law: “If anything can go wrong, it will.” ICD-10 codes cannot be filed electronically using 4010 transaction set. Transaction standard 5010 is a major upgrade which will enable electronic filing using alphanumeric ICD-10 codes. The final deadline for a successful transition to Version 5010 transaction set upgrade is only seven months away. By December 31, 2011, providers should have completed internal testing and testing with external partners and payers. While it’s true that full implementation of the actual codes is not until 2013, there is a final deadline for anyone that uses or submits claims electronically to show compliance to 5010 upgrade by the end of this year. Transaction standard 5010 is more than a major update, it is an organizational change. If a practice has not started internal and external testing to ensure electronic claims are filed and received correctly using standard 5010, they are way behind schedule. It will be difficult playing catch-up and will require focus and determination to get the job done by January 1, 2012. The fact is, providers should have started the process long ago. Every entity that sends or receives electronic transactions such as claims submissions, eligibility inquiries, claims acknowledgments and reports must upgrade to the new standards. Providers, payers, trading partners and all involved should communicate about their transition preparations. Not only is it important for you to make sure that you can count on them during the transition, but they are a great resource to provide details about what you need to do to comply with Version 5010 standards and ICD-10. Follow the progress on the CMS (Centers for Medicare and Medicaid Services) web site. Education is essential because this will foster clearer understanding of HIPAA 4010 transactions and the 5010 upgrade. Don’t assume that X12 (EDI) is just for IT staff or computer geniuses. The transition also includes business and regulatory processes, clinical data needs, and technical and front end process changes. Add the human component to this mix and it makes for an interesting and challenging transition. Communication is especially critical to a successful transition. ICD-10 will require the involvement of physicians and non-clinical staff. Physician documentation must become more specific and granular to accommodate ICD-10 coding. If possible, enlist the help of a physician “champion” to assist in physician communication and education. Documentation under ICD-10 detail requirements will increase for each patient seen and treated on and after October 1, 2013. The”“i’s” must be dotted and the “t’s” crossed; the devil is in the details with the new coding classification. When communicating with physicians and staff, make sure your message is clear and understood. Mutual respect is essential and egos are unacceptable. It is imperative to put together a well-rounded transition team made up of representatives from management, coding, clinical, finance and information technology. The team should have a working knowledge of ICD-10 and how it differs from ICD-9, as well as the expected short- and long-term financial, personnel, and time impact of the transition. Failure to successfully convert will result in failed claims and halted cash flow. All Medicare billing for discharges on or after Oct. 1, 2013 will be ICD-10- based. Sept. 30, 2013 encounters and discharges will be ICD-9 based. There are bound to be reimbursement delays when these codes are first transmitted; the budget should allow for this delay. Develop a plan of action and keep the focus on the compliance timelines. Create deadlines with responsibilities and accountability. Link the right person to each task and do not lose sight of the goal. Determine the critical path necessary but allow some slack for unforeseen events (remember Murphy). This process will probably take longer than you think and this must be considered. Establish a budget for accomplishing the transition. This requires estimating the financial impact of the expected loss of productivity and disruptions in cash flow. This is particularly important given the costs associated with completing the transition. This cost will depend on practice size and technology upgrades needed, as well as training and resource costs. Upon completion of the planning phase, organizations should have a strategic approach blueprint that brings together all pieces of the assessment and integrates them into an outline of who and what is impacted in the individual practice or facility. Each area of impact requires a process and action plan to achieve success. Staff training needs must be assessed: Who, When, How? There are many training opportunities and materials available through professional associations, online courses, webinars, CMS web site, and onsite training by outside consultants. Because of the higher level of specificity required under ICD-10, it is important to assess clinical documentation and this can be accomplished by evaluating random samples of medical records to identify areas where documentation is lacking. Assess the diagnoses frequently used in the practice that will require a higher level of detail. Identify areas of documentation weakness and address the deficiencies prior to the transition deadline. The documentation issues should be a focus in physician and staff education. 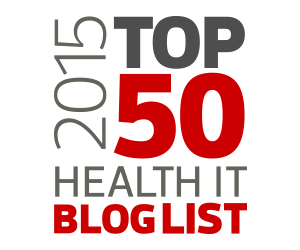 The transition to ICD-10 is a BIG DEAL and not just a simple code-set replacement. Because ICD-10 is more granular and detailed, even experienced professional coders and billing personnel will require focused training to become proficient with the new diagnostic codes and documentation requirements. If electronic documentation and coding systems are not used, physicians and nurses will need training on capturing the appropriate level of information to support coding under ICD-10. The IT staff will also need to be educated on the difference between ICD-9 and ICD-10 to determine whether current systems and interfaces need to be built or modified in any way. Everyone must be on the same page and a Mission statement would help this goal. Describe what you’d like to accomplish and solicit ideas towards that end. In this way everyone has a voice and clear direction. This change will occur and everyone must focus on the practice blueprint and adhere to set schedules. To learn more about how to prepare for the transition, view a recorded webinar on ICD-10/5010 featuring Nancy Maguire now. Nancy Maguire, ACS, PCS, FCS, HCS-D, CRT, author of The Nancy Maguire GPS to ICD-10-CM Planning and Implementation Guide, is a nationally-renowned procedural and diagnostic coding instructor, bootcamp trainer, and workshop leader. She has spent more than 30 years as a hands-on coder and has authored countless coding articles and presentations. In her expansive career, she has transitioned from nursing, to coding, to practice management, auditing and consulting. Nancy served as Director of Coding and Reimbursement at UTMB in Galveston Texas for four years. She served the first two terms as president of AAPC in the early 1990s. Note: Several Kareo customers have asked about Kareo’s preparations for 5010. We are in process with the transition and fully expect to be ready by the deadline. In addition, we have confirmed with both of our clearinghouses that they are able to translate 4010 to 5010, so our customers can expect to be covered for this change. In the current economy, financial hardships affect patients and practices alike. Patient visits are down. Utilization of medical services is down. 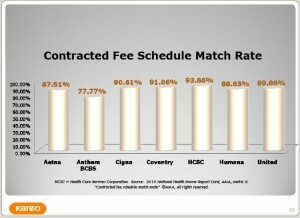 And, as any medical billing professional knows, patients’ ability to pay is similarly decreased. There is, however, an accompanying growth trend: An increasing number of practices are offering patients a variety of ways to pay the money that they owe for services rendered. The reasons for extending payment options are no secret. From accepting a variety of payment methods to allowing patients to pay monthly, payment options generate cash flow. Accepting cash or check, for example, is ideal cash flow. Credit cards and third-party financing also allow your practice to get paid in full. But you simply are not always going to get paid in full, especially in (but certainly not limited to) this economy. While not as desirable as payment in full, collecting partial payments each month is still cash flow… and more than you’ll ever get from any non-paying accounts — or even from all of them combined! You may have heard the old saying: “You can’t get blood from a turnip.” Medical billing professionals have long known this. And it’s likely why billing staffs helped influence the existing and increasing trend among healthcare practices toward offering payment plans to patients. If your practice is new or is struggling through the downturn, accepting monthly payments can help attract the new patients you need to come through your door. But it also helps any and all practices retain existing patients they hope to keep treating tomorrow and well into the future. Today, medical billing departments are overrun with “sob stories” — stories that are in most cases completely true. A lot of people who want to pay and intend to pay are experiencing hardships that make it difficult for them to do so. In fact, many practices find themselves in the very same predicament; they are challenged to earn and/or collect enough to cover their bottom lines. So, surely we all understand that the inability to pay in full is very real and that, while unwanted, it is the way things are. While the practice needs to get paid, its medical billing personnel will be more successful in that undertaking if they can collect the money over time from patients who cannot pay in full. But the greater success may be that your staff members do not risk offending a loyal patient (read: “customer”) who is in otherwise good standing. By accepting payments toward a balance, the practice is demonstrating that its leaders and staff understand, appreciate and care about the patient. This is no small issue, particularly given that, even before the current economic troubles, many practices already had decided to allow patients to make payments. Simply put, payment plans have become standard practice. To not adopt this practice is to encourage patients with financial hardship to take their healthcare business to a provider who, from the patients’ perspective, cares about their situation enough to provide them a little flexibility, compassion and understanding. It’s just plainly obvious: Your practice’s best bet is to be the compassionate, understanding and flexible provider rather than the type of healthcare practice with a reputation for being none of these things. In some cases, a practice’s billing personnel may resist offering monthly payments (or perhaps certain forms of payment) because of the perceived difficulty or extra work involved in managing them. Collecting and processing the payments is often thought to be extra labor for billing professionals who already feel overwhelmed by their existing workload. But this is the wrong mindset, and it should be corrected with speed and all due zeal. The job of a medical practice’s billing department is to collect money. The return on the practice’s investment in medical billing labor is increased when it collects more money. Remember: The whole point here is to bring in revenue that would otherwise not be coming in. The other key issue is the notion of challenge or difficulty. Any difficulty your billing staffers experience in managing payments plans is either wrongly perceived or genuine. And if it’s a genuine challenge, you’ve got problems. Today’s medical billing software should be completely capable of simplifying and easily managing periodic payments and multiple payment forms. Robust and flexible handling of periodic payments is something that should unquestionably be one of your billing department’s capabilities. If not, address it immediately. It’s just too easy to do well for it to be a drag on your practice’s success. Another payment option that your practice is wise to consider is a discount for payment in full. While monthly payments (or payments made with some other frequency) are cash flow you won’t otherwise get, encouraging full payment at time of service is more cash flow. Basically, you’re giving patients a strong incentive to not opt for making periodic payments. As mentioned earlier, some patients simply won’t be able to pay in full. But some who say they can’t may find a way if it means paying less. And while a discount means less total income for the practice, it will mean more revenue in the current month. So, while it is not only sensible but necessary to offer monthly payments, you can help prevent some accounts from becoming deferred revenue by giving them some incentive to pay now. And as with the monthly-payments options, patients will appreciate your understanding and willingness to give them a break. Some practices offer these discounts to all. But you also have the option to only offer a discount for payment in full to those patients who assert their inability to pay at time of service. You are, however, wise to decide now… and to have a standard rate of discount, because some patients are going to need it. Think your medical practice has a healthy revenue cycle? If you haven’t focused – really focused – on insurance denials, then think again. Denials might be the most underestimated and poorly understood sources of significant cash leakage from your practice’s revenue cycle. Tracking, analyzing, resolving and eliminating causes of denials is much more than good housekeeping – it might just be the difference between financial stability and failure for your practice. Question-and-Answer Session — Ask your tough questions and get answers to your current denial management challenges. Private practice owners, office managers, billing managers, billers, billing service owners and others concerned about reducing denials and improving cash flow will benefit from this informative session. Elizabeth Woodcock is a speaker, trainer and author who is passionately dedicated to helping physician practices achieve and sustain patient satisfaction, practice efficiency, and profitability. An expert at practice operations and revenue cycle management, she is nationally recognized for her outstanding presentations and writings aimed at improving the business of medicine. Her education and expertise, combined with her humor and an engaging delivery, make her popular with physicians and administrators alike. With rich experience in consulting, training, and industry research, Elizabeth has led educational session for the nation’s most prominent health care professional associations, specialty societies, and medical societies. She consults for many clients including Kareo medical billing software. We hope you’ll be able to join us for this informative webinar. Read more about denial management now. Over the last decade, the Centers for Medicare and Medicaid Services (CMS) and its contractors (Zone Program Integrity Contractors (ZPICs), Program Safeguard Contractors (PSCs) and Recovery Audit Contractors (RACs), have steadily assembled extensive coding and billing profiles on Medicare providers around the country. In addition to building a profile of a “typical” provider for each type of practice, Medicare contractors are also able to readily identify changes in the coding and / or billing habits of a particular provider. The purpose of this article is to provide an overview of the government’s current use of “data mining” techniques. A Medicare provider’s specific area of practice. A Medicare provider’s practice location. The types and frequency of health care services or supplies billed to Medicare. The relative size of a provider’s practice, clinic or health care related organization (based on the number of Medicare billing providers employed). Through an examination of these factors or data elements, Medicare contractors and law enforcement have been able to identify health care providers whose coding and / or billing practices make them “outliers” when their actions are compared to similarly-situated Medicare providers. Once a health care provider has been identified as an “outlier,” further action may be taken. 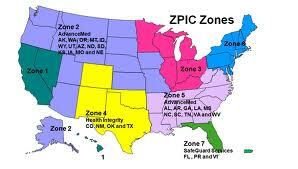 An unannounced site visit by the ZPIC or PSC to the Medicare provider’s practice location. Sending a request for supporting documentation related to a limited number of claims (often less than 10, this type of review is generally referred to as a “Probe Audit”). Sending a request for supporting documentation related to 30 claims or more (these claims are often then used by the ZPIC or PSC as a “sample” in order to calculate an alleged overpayment based on extrapolated damages). Sending a demand letter for an alleged overpayment based on an “automated” review of the data conducted by a RAC or ZPIC. Using “data mining” to identify outlier’s whose billing practices warrant to initiation of an investigation by law enforcement. “In 2007, the Criminal Division of the Justice Department refocused our approach to investigating and prosecuting health care fraud cases. Our investigative approach is now data driven: put simply, our analysts and agents review Medicare billing data from across the country; identify patterns of unusual billing conduct; and then deploy our “Strike Force” teams of investigators and prosecutors to those hotspots to investigate, make arrests, and prosecute. And as criminals become more creative and sophisticated, we intend to use our most aggressive investigative techniques to be right at their heels.” (emphasis added). As law enforcement has readily acknowledged, post-payment billing data is being effectively utilized to “identify patterns of unusual billing conduct.” Using data mining as a targeting tool, the government is able to quickly focus its investigative and audit resources on specific providers whose coding / billing practices fall outside the scope of what would normally be expected. “. . . Instead of the old ‘pay and chase’ model, we’re getting proactive. Late last year we issued a solicitation for state-of-the-art analytic tools to help predict and identify fraudulent claims as soon as they are submitted, so we can stop payment before it goes out the door. These are the same type of predictive modeling tools that banks and insurance companies use to identify potential fraud before it occurs. They are how your credit card company can raise the alarm if they see a dozen flat-screen televisions charged to your card in one day. . ..” (emphasis added). While post-payment claims data analyses will likely play a role in identifying overpayments, the government is serious about stopping health care fraud as soon possible in the process. While the government cannot “predict” wrongdoing before it happens, based on a complex analysis of various factors, it can effectively identify wrongdoers so quickly that the amount of improper claims paid by the government can be dramatically reduced. Many providers are concerned that the government’s heavy reliance on predictive measures such as data mining to identify targets may subject a provider to an unjustified audit or investigation. Moreover, there is a concern that data mining might create an unwarranted presumption that a Medicare provider has engaged in improper billing practices. Unfortunately, even if ultimately shown to be incorrect, a provider can spend an enormous amount of money defending itself in connection with a post-payment claims audit. Providers placed on pre-payment review as a result of data mining can be especially hard-hit. It is not at all unusaul for providers to remain on pre-payment review for six to twelve months (or even longer). 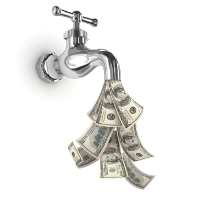 During this time period, cash-flow is interrupted and many providers find it almost impossible to remain in business. In today’s environment of sophisticated data mining, it is essential that Medicare providers have a clear picture of how their coding and billing practices compare to those of their peers. To be clear, both Medicare contractors and law enforcement recognize that a provider’s practices may differ in one aspect or another from those of their peers. 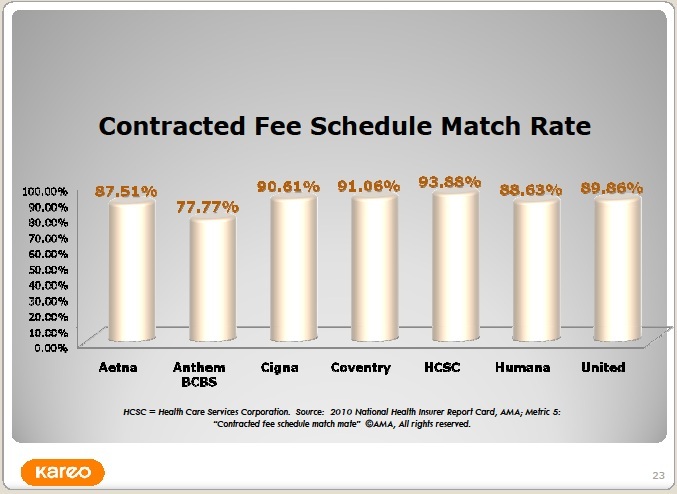 Moreover, those differences can result in billing practices which might make a provider appear to be an “outlier.” There are a number of companies who publish benchmarking charts which make it relatively easy for a physician or other provider to compare their billing practices to that of their peers. To be clear, just because a provider’s coding and billing practices differ from those of their peers (in the same specialty area), does not necessarily mean that a provider’s practices are improper. In recent years, we have seen providers who were targeted by a PSC or ZPIC precisely because their utilization rates of certain codes exceeded those of their peers. In at least one case, we found that a provider was recognized as an “expert” by his peers and often received highly-complex referrals by other Medicare providers. As a result, the number of highly complex Evaluation and Management (E/M) reviews conducted exceeded those of similarly-situated providers. Having said that, if a provider were to find that its billing practices did not match of its peers, it could conceivably find that its understanding of the coding requirements was incorrect and that remedial training was immediately needed. In either case, the bottom line is clear – all providers have an obligation to try and ensure that services billed to Medicare meet applicable statutory and regulatory requirements governing coverage and medical necessity. If your organization is subjected to an audit, it is essential that you determine whether your billing practices fully comply with the rules. If so, you must be prepared to explain to Medicare contractors or law enforcement why the anomalies identified through data mining or predictive modeling are not evidence of fraud or overpayment. Providers facing this situation should work with experienced legal counsel to ensure that the arguments to be presented fully address the government’s concerns. Failure to do so may result in an expansion of the government’s audit. Robert W. Liles, Esq. owns a private law firm, Liles Parker, which focuses on fraud defense, internal audits, compliance, and regulatory matters. Robert serves as General Compliance Counsel for the American Medical Billing Association. We’re pleased to announce that the Professional Association of Health Care Office Management(PAHCOM) will be providing 1.0 CEUs for participation in this webinar. More than 350 of your colleagues have already registered – don’t miss your chance. If you’ve heard about the need to prepare for the transition to ICD-10/5010, but are not sure where to start, or if you’ve started but are not sure you’re on the right track, join us for this practical webinar. Nancy Maguire, ACS, PCS, HCS-D, author of the Nancy Maguire GPS to ICD-10-CM Planning and Implementation Guide and leading expert on ICD-10, will walk you through steps for making a smooth transition. • How do we develop a plan of action? • Who should we involve in the transition? • What are the differences between ICD-9 and ICD-10? • What are the deadlines and how does this impact our practice? Question-and-Answer Session — Ask your tough questions and get answers to your current ICD-10/5010 challenges. Private practice owners, office managers, billing managers, billers, billing service owners and others concerned about the transition to ICD-10-CM and 5010 will benefit from this informative session. Nancy Maguire, ACS, PCS, HCS-D, is the author of the Nancy Maguire GPS to ICD-10-CM Planning and Implementation Guide, and is a nationally-renowned procedural and diagnostic coding instructor, boot camp trainer, and workshop leader. She is a highly-talented presenter who uses her knowledge and humor to reinforce the philosophy that coding can be fun! She has spent more than 30 years as a hands-on coder and has authored countless coding articles and presentations. In her expansive career, she has transitioned from nursing, to coding, to practice management, auditing and consulting. Nancy served as Director of Coding and Reimbursement at UTMB in Galveston Texas for four years. She served the first two terms as president of AAPC in the early 1990s. Her expert guidance is guaranteed to help medical office professionals make the best decisions in their everyday jobs and a positive impact on their career. The traditional medical billing system of years past is becoming passé for countless medical practices across the US. The days of expensive in-office computer servers and software, along with costly licensing fees and the need to hire information technology (IT) specialists, are going by the wayside. Instead, medical practices and medical billing services are managing their billing with web-based medical billing software, which allows for more efficiency and accuracy and can result in fewer rejected claims and faster payment cycles. One significant advantage of web-based medical billing software is anytime, anywhere access of your billing information. With just a few clicks of the mouse, your billing employees can access all of the information they need through a secure Internet connection. This means they can manage every aspect of the billing process from home or another offsite location. According to the US Bureau of Labor Statistics, approximately 20% of employees perform some of their work at home. Innovative advances in telecommunications and the Internet enable employees in many industries to do their jobs effectively without being in the office. Workers, clients, vendors and more can communicate with each other via e-mail, mobile devices and web conferences, all with the same power and effectiveness of in-person meetings. For the medical practice that wants to take its billing system to the 21st century, this is welcome news. Even better, that means that you can access your data, your clients and your employees’ productivity anywhere, anytime. As a small business owner, it can be difficult to take time away – but with web-based software, you can easily combine work and play without missing a beat. All you need is web-based medical billing software, a desktop or laptop computer and a secure high-speed Internet connection, and you’re ready to go. Your employees will find web-based medical billing software easy to learn and use, and they will be ready to handle the billing in a relatively short amount of time. Have you ever heard the saying, “a happy employee is a productive employee?” Well, according to business consulting firm iOpener, it’s true. iOpener conducted research and found that happy workers spent 80% of their workweek “on task,” while unhappy workers spent just 40%. Your billing employees handle numerous tasks every day, from entering patient data and coding information to contacting insurance companies, and their happiness is necessary for optimum productivity, not to mention a pleasant work environment. When your billing employees work from home, they will have a better work-life balance and therefore be happier. They can save money by not having to commute as much, and this means they can dedicate more of their time to billing. Plus, your billing employees can arrange their schedules to include taking their children to and from school, running errands and preparing dinner. Having more time to spend with family is priceless. One Kareo customer in Bonita, California said, “Now my billing employees work from home —the hours they want to work — as long as the work gets done. They can work in their pajamas or an evening gown… or anything between. They love it!” Additionally, working from home means your billing employees won’t have to deal with the interruptions that commonly occur in an office environment. They can perform their billing responsibilities with even more focus, accuracy and efficiency. You won’t need to worry about identity theft when your medical billing is handled offsite. Web-based medical billing software uses HIPAA-compliant data encryption technology to keep your patients’ information safe and secure, no matter where it is accessed. So, when your billing employees are working from home or another offsite location, you can be confident that your patients’ sensitive medical and financial information will never be compromised. And in the event that your web-based medical billing software is left unattended for a certain period of time, it will automatically “lock up” per HIPAA policies and require your billing employees to re-login. Your medical practice saves money on the day(s) that your billing employees work from home. Less electricity is used, less coffee is poured and fewer phone calls are made, all of which lower your office costs. You might also be able to save on the cost of health insurance. Research studies show that happier employees are healthier employees, and that translates into lower health insurance costs. Plus, healthy employees are more productive and miss fewer days of work. Obviously, determining the number of hours your billing employees can work from home depends on the size and billing needs of your medical practice. You also need a web-based medical billing system that allows for anytime, anywhere access to your patients’ billing information. Before you decide to allow your billing employees to work from home, make sure you set your expectations with them. Let them know that if the amount of billing they are required to do starts to decrease, they will lose the privilege of working from home. Your billing employees will most likely be excited at the prospect of working from home, and this flexibility and convenience will make them happier and keep them highly productive for your practice. Learn more about web-based medical billing software now. With today’s complex coding and reimbursement systems, it came as no surprise to discover that payment accuracy rates among insurance companies dip as low as 77 percent. That finding comes from the American Medical Association’s Health Insurance Report Card, a survey published annually by the AMA. Among other variables, the Report Card examines how often payers’ allowed amounts for medical claims equals the contracted fee schedule amount. The results are, arguably, alarming. It’s simply not healthy for your practice’s bottom line if nearly one in four insurance payments – or even one in ten – is wrong. Historically, insurance companies paid a percentage of your charge, but that reimbursement formula has gone by the wayside. In today’s system, payers set prices for each service. The challenge is to ensure that you actually get that price. Underpayments often go unnoticed but they hurt your bottom line all the same. Spending a little time now to improve tracking and management of payments pays off down the line. Know what you should get paid. It’s impossible to identify underpayments if you don’t know what you deserve to be paid. Ask all insurance companies with which you participate to provide a current fee schedule. They may balk or delay in providing you with their rates for all 7,000-plus CPT codes, but that’s ok. All you really need is a list of your top 50 CPT codes (including modifiers). Compile the list and request that the payer lists its fees for each one. Seek other sources. Some companies may ignore your request or drag their feet when asked about prices. The good news is that Medicare and Medicaid reimbursements are publically available; the Centers for Medicare and Medicaid Services (CMS) offer a fast and easy online look-up tool for Medicare. Most states also post their Workers’ Compensation rates online. Commercial reimbursement, however, remains a challenge. Deploy alternate strategies. If you are signing up with a payer for the first time, require that a list of the rates for your specialty’s top services by volume accompany your contract before you will sign up. If you already have a contractual agreement, don’t despair. Call the company’s customer service center – many offer a provider line for speedier service. If the representative who answers can’t help you, ask for a supervisor. If the payer has assigned a provider representative to you, contact that person. If those channels don’t work, ask to speak to the medical director. Document each attempt at communication and every point of contact. If efforts to telephone the insurance company don’t pay off, start typing: write a letter to the medical director to request the fee schedule. If you don’t hear back, write another letter, but raise the stakes by carbon copying your state’s insurance commissioner. Many states have laws requiring insurance companies to respond to physicians’ request for rates. If you are not sure about your state’s law, ask your medical society. Your state or county medical society also can fill you in about the American Medical Association’s settlements with several large, high-profile health insurance companies. Those settlements stem from the companies’ use of flawed data and other practices that unfairly reduced payments to physicians. Establish a process to ensure payments are correct. Getting your rates in hand is just the first step. Now, you need to set up a review process to ensure that you get them 100 percent of the time. True, your staff could manually compare each incoming Explanation of Benefits (EOB) against the payer’s rate schedule, but that could consume many hours a week. Instead, use the power of automation: choose a practice management system that stores payers’ rate schedules and performs automatic cross checks on each line item. Comparing the EOB with the expected rate allows you to be automatically alerted to variances between what’s been paid and what should have been paid. Examine remittances. Using a practice management system, the same type of automatic crosschecking of EOBs can be performed on electronic remittances as they are posted. Your management system can then spit out an “exception” report showing underpayments as well as any overpayments. Don’t just lay this “exception” report aside or toss it in the trash. Use it! Follow up on underpayments with the same vigor and tenacity as you would a denied claim. Remember, too, that like denials, underpayments should be identified on a line item basis. Don’t accept reimbursement for one line item as “payment in full”. Scrutinize by line item, not by encounter. Evaluate staff motivation. Determine if you’ve inadvertently incented your employees not to ensure payments are always correct. Measuring performance through key indicators, such as days in receivables outstanding is critical. Be aware, however, of a tricky dynamic that can come into play – and reduce your ability to identify underpayments. Here’s how it can happen. Payments from contracted insurance companies are below your full charge. The difference is considered a contractual adjustment. By contract, you may or may not be able to seek that difference from the patient; the variance is typically written off. 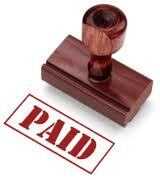 Posting the payment, and making the corresponding contractual adjustment, removes that invoice off your receivables. All fine and good if it’s the correct payment, but it’s not uncommon to see some employees take the adjustment, write off the remaining receivable and call it a day – even when the payment is lower than what should have received. They may find that doing so wraps up their work neatly without a lot of troublesome follow-up. You may be aiding and abetting this behavior by stressing 100 percent completion rates in the billing office, or rewarding employees solely for high-volume production. Don’t just push to get the receivables down and throughput up. Take a balanced approach by also communicating to employees the importance of accuracy and cash flow (which, coincidentally, pays their salaries). Recognize that underpayments may not come from the insurance company. The fee schedule from an insurance company represents allowables. These allowables reflect the total of what you are allowed to collect – from the insurer and from the beneficiary (the patient). Historically, the insurance company owed you the majority of the allowable. With the uptick in high deductible health plans in recent years and the growing number of employers selecting insurance plans with higher copayments and coinsurance, patients are owing – and paying – a greater portion of their health care costs. If you find that you routinely get less than what you expected for contracted services, don’t overlook the impact of uncollected coinsurance, unmet deductibles and skipped copayments from patients. You may have to start paying closer attention to collecting cash more effectively from your patients, as well from their insurance companies. Underpayments are not a minor inconvenience or a rare occurrence. It pays to pursue underpayments, but in the long run, you’ll be best served by taking steps to prevent them or, at least, detect them as soon as they occur. The AMA Healthcare Report Card found that payer accuracy rates range from 77 percent on the low side to a little over 98 percent (Medicare) on the high side. If your practice was entirely Medicare, you’d still face underpayments of almost 2 percent of your allowables. Figure that for a physician who brings in $250,000 annually, each percentage point equals $2,500. Now, apply the AMA’s findings and it should be crystal clear that the return on investment to improve detection of underpayments can really pay off – year after year. Now is an opportune time to get your game on to ensure that you’re being paid what you deserve. For more information on How to Incentivize Your Staff for Optimal Performance, watch a recorded webinar featuring Elizabeth Woodcock speaking on this topic now. In these trying times, physicians and practice managers are concerned about the impact of the nation’s economics and the effect it will have on their practices. It’s important for physicians and managers to examine specific Key Performance Indicators, KPIs, to monitor practice performance. This will help management and physicians understand the practice’s position and identify irregularities, and guide future decisions. Medicine is a business and it’s time to take this seriously. There are two industry sources typically used to compare practice performance. First, compare your statistics from year to year. For example, is practice operating expense stable or is it spiraling upward each year? The second comparison is to examine industry standards for your specialty. The Medical Group Management Association (Annual Cost Survey) and the National Society of Certified Healthcare Business Consultants (Annual Statistics) both track statistics on key performance indicators by specialty. MGMA reports a broader range of indicators, but NSCHBC has a larger sample size for each specialty and provides geographic breakdowns. Some specialty societies are beginning to track statistics for their members as well, so check with organizations your practice is affiliated with to see if they have useful performance information. Income and itemized expenses as a total percentage of income. This will tell you where the money goes. The highest expense is likely to be staffing costs. Staffing costs are inching upward toward an all time high of nearly 30% for primary care physicians. This is staggering, and managing these costs is essential to improving the bottom line. To dig deeper, examine the variable salary rates for each position to be sure they are in line. You’ll also want to look at overtime trends. Remember, when people work overtime you are paying a premium pay rate for the hours they are tired and likely to be less productive. Monitoring the top five expenses will give you a better understanding of expenses and ways to manage them. Productivity reports are included in the month-end management reports typically produced by the practice management system and reveal the total charges, receipts and adjustments for the practice and should also compare each physician’s individual production. Keep an eye on fluctuations that need to be explained. Sure, one doc’s charges will be down if on vacation or ill, but otherwise start looking for a reasonable explanation for an unusual variation in production. If adjustments are climbing, dig to be sure staff understands legitimate insurance adjustments and fights for your money when insurance plans make errors. Industry expert Healthcare Business Advisors states that 30% of claims in the US are denied and of that 15% are never resubmitted, despite the fact that 70-80% of appealed claims eventually get paid. Be proactive and get what you deserve! Patient visits. It’s smart to get information about the number of patients a typical physician in your specialty sees in a year, both new and established, and compare to the physicians within your practice. If the number of visits is slipping for some of the providers, you will want to know why and whether the slippage is due to new patients or established patients. It can be a sign of inefficiency, a mismanaged schedule or attrition due to poor service. Accounts receivable reports follow money that is owed to the practice. An acceptable standard would be for the total accounts receivable to equal 1.5 to 2.5 months’ worth of charges and for the amount on the books that is more than 90 days aged to be in the 15% range. Of course, there are variables depending on your specialty. Most insurance companies will process clean claims within 30 days, so if you aren’t getting paid it may be due to errors that result in claims rejection and, perhaps, not being timely in correcting the claim and taking action to be sure such errors are not repeated. A well-trained staff that is held accountable to a set standard is the best way to improve performance. Missed appointments cost the practice plenty, so track them. More than one or two a day is not okay. Four missed appointments a day are projected to be a loss of more than $150,000 a year per physician. You can’t afford to miss out on that kind of revenue. Improving your scheduling patterns and philosophy is an investment that pays off! Most practices find that a well-thought-out script for patient reminders helps cement the patient’s commitment to keep the appointment and automated systems reduce the missed rate by as much as 20-25%. The cost of the automated system and the staff time it saves is easily recuperated when there are fewer holes in the schedule. Access. It is important to keep an eye on how long patients wait to get an appointment. This is simple to track by just looking at when the next available appointment is. Don’t look at the first appointment, which is likely due to a cancellation. Instead, look at the third available appointment out. If it’s more that 10 days, access is an issue. Poor access compromises service and patient compliance. It can also be a cause for missed appointments. If patients are scheduled 10 days out they are likely to get better, go to another physician or forget the appointment altogether – this isn’t good for the patient and it certainly isn’t good for the practice. Wait time. This KPI is a reflection of your customer service. No one likes to wait and it’s your job to ensure waits are reasonable. External companies are monitoring the wait times on medical practices based on feedback from the patients. Mind your Ps and Qs. Social media is opening doors of communication for patients to spread the word and let the world know how they feel about you and the service you provide. There is an explosion of available information available for people to form an opinion when searching for new physicians. Check out how you rate at www.vital.com and www.healthgrades.com. I was recently checking out a physician and this is what I read: “Horrible and stomping around the room ‘Your case is too complicated for me’ & he never gave me a diagnosis – refused my request for his notes & said if I contact him again he will file a restraining order!!!!! !” That’s enough to scare off potential patients. Other tracking sites include www.angieslist.com and www.yelp.com, just to name a few. Seems professionals are now falling under a broad microscope and people can form opinions based on what they read rather than their own personal experiences. This is a new level of accountability that should influence medical practices to assign a KPI for patient satisfaction and to begin conducting their own surveys. This has become simpler and more cost effective through automated services like Survey Monkey and Zoomerang. Key performance indicators provide tools to improving the way medical practices do business, help them serve their patients better and run a more efficient organization, resulting in improved accountability and a better bottom-line. For more insights from Judy Capko, view her recorded webinar “What You Need to Know for 2011 – Maximizing Medical Billing and Revenue Management” now. Judy Capko is a healthcare management and marketing consultant and the author of the runaway best-selling book, Secrets of the Best Run Practices and Take Back Time – Bringing Time Management to Medicine. She can be reached by email: judy@capko.com. We’ve come a long way, Coders! But it’s about to get very bumpy! The buzzword of the ICD-10 diagnosis classification is “DETAIL.” It is a fact that the I-10 diagnosis codes, as well as the procedural coding system (PCS), will require an increase in physician documentation. It is quite possible, and probable, that this increase in documentation will change patient scheduling, resulting in fewer patients seen on a daily basis (for example, 3 less patients per day). The old order for documentation standards will no longer be enough on and after October 1, 2013. The new order requires greater detail and will be a permanent change in documentation habits. Teamwork, or lack thereof, between the clinical staff and the coding professional will make or break the smooth transition to ICD-10 compliance. The brutal fact is that many physicians do not document for specificity with current ICD-9-CM codes and this will make implementation of ICD-10 coding a frustrating experience. Improved physician medical documentation is critical to reimbursement and data collection. The coding professional cannot diagnose, nor can he/she assume a diagnosis. The physician and non-physician clinicians must specifically document (gray matter to white matter) the presenting symptoms or chronic and acute conditions, in detail. ICD-10-CM diagnosis codes have laterality in many code descriptors and many require a 7th Character Extension (A, D, S) Initial, Subsequent, Sequela, to identify the type of encounter. It is reassuring to realize that the rules, conventions, and guidelines in ICD-10 are very similar to what is currently in ICD-9, with only a few changes. Also on the plus side is an increase in “combination codes” and this means one code would be assigned in place of 2 or 3 separate codes required in the ICD-9-CM system (for example, I25.110 ASHD of native coronary artery with unstable angina required 414.01 and 411.1 in ICD-9). The most critical area of impact for physicians will be on documentation. Physicians must understand the expanded code descriptors and these should be mirrored in their medical record dictation/documentation. Education should focus on diagnoses frequently assigned and then cross-walked to ICD-10 codes. Identify current and future documentation challenges and train accordingly. The new codes are alphanumeric and could contain seven characters (injuries, coma, OB, external causes), and they are organized differently. For example, injuries are grouped by anatomical site rather than injury category (S63.293A, Dislocation of distal interphalangeal joint of left middle finger, initial encounter). The Center for Medicare and Medicaid Services (CMS) feels the increased specificity will make it easier to assign codes correctly, which should result in fewer errors, fewer unpaid claims and therefore fewer requests to resubmit claims with supporting documentation. Time alone will show if this assumption plays out as anticipated. It won’t be easy putting ICD-9 codes to rest. Physicians use (and frequently struggle with) these codes on a daily basis, but they are familiar with the three-five digit codes; change may not be their choice, but it will happen. Other concerns are payer contracts, dealing with coverage determinations, local and national, and “increased documentation costs.” Pre-authorizations and treatment plans may require additional diagnosis documentation to specify the detail of the patient condition(s). Assess whether documentation currently in your medical records will support the level of specificity necessary for ICD-10-CM. This transition will be time intensive and will involve costs and additional resources. It will impact your entire practice and will require patience and persistence. The one word that flows throughout this article is “documentation.” The definition of this term is “an act or an instance of the supplying of documents or supporting references or records.” Documentation also allows the clinician to give documentary evidence of the patient encounter or hospital service. It establishes medical necessity for services rendered. ICD-10 is a coding of diseases and signs, symptoms, abnormal findings, complaints, social circumstances and external causes of injury or diseases, as classified by the World Health Organization (WHO). Our documentation history has taken us from the ancient Egyptians and their practice of the scientific arts and hieroglyphics to the recording of epidemics during the plague all leading up to where we are today, a long way indeed! Complete and detailed documentation helps physicians organize their observations and examination, justify their treatment plan, support the diagnoses, and document patients’ progress and outcomes. The medical record is a vehicle of communication for providers to evaluate, plan, and monitor patients’ care and treatment. Documentation also supports severity of illness, length of hospital stay, and risk of morbidity/mortality data. Physicians must understand the coding methodology not only with ICD-9 codes, but during the conversion to ICD-10 codes. Proper documentation does improve quality issues and impacts the physician’s profile for case-mix decisions. In the outpatient setting diagnosis code(s) regulate the level of service provided. Improving physician documentation ensures that the patient’s clinical course is clearly recorded. Physicians should be involved in the transition process and communication between team members should be frequent and positive. Gripe sessions will go nowhere and will sabotage the road to compliance. Medicare has documentation guidelines for the Evaluation and Management codes and these should be reviewed by all providers (https://www.cms.gov/MLNEdWebGuide/25_EMDOC.asp). Documentation errors and omissions clearly put hospitals and physicians at risk for denials and audit liability. Does your physician clearly explain the impact of co-morbid conditions and complications in the medical record? If diagnostic tests are ordered does the medical record document “why” or “because”? Answers to these questions will lead to a diagnosis code assignment(s). The diagnosis should link to the service provided (medical necessity). Physicians should document the patient’s severity of illness, including: severity of the signs and symptoms exhibited by the patient; the medical predictability of something adverse happening to the patient; the need for diagnostic studies; and the availability of diagnostic procedures at the time when and at the location where the patient presents. The documentation of medical necessity needs to be legible, complete (including checklists and templates) and consistent with the presenting problem(s) or condition(s). The information written and maintained in patient health records, once it is collected and aggregated, is used by payers, clinicians, health system planners, researchers, and decision-makers as the basis for important decisions related to health care. The medical record is the silent witness to support services rendered and reimbursed. Good physician documentation ensures that a better quality of data will be available on which to base critical health care sector decisions.